Parade of Lost Souls. This popular East Van tradition takes place on October 31st. The exact location will be announced at midnight on October 30th on the Dusty Flowerpot website. You can expect a parade of wild costumes, giant puppets, live music by East Van’s own Carnival Band among others, a Thriller Flash Mob and performance art created by local community members. The Parade of Lost Souls will take place in East Vancouver on October 31st 7:00 – 10:00 pm. This event is free and for all ages. Costumes are encouraged. For those wishing to carry on after the parade, there is an After Party at The Hall on Venables Street. The after party will feature performances by The Tailor, Sweet Anomaly, Orkestar Slivovica, Bone Rattle Burlesque and much more. Tickets are available in advance and at the information booth the night of the parade. Fright Nights. Playland is hosting 7 haunted houses, 15 rides, a fire show, Monsters of Schlock and the Radiant Heat Show. Fright Nights is now on until November 1st (enter E. Hastings & Windermere) tickets are available online at FrightNights.ca. Rio Theatre. On Saturday, October 31st, the Rio Theatre has you covered for scary movies. They are starting the night with Jack Nicholson in The Shining at 6:15 pm, then Halloween at 9:15 pm and ending with From Dusk Till Dawn at 11:30 pm. Advance tickets are available online. 7 Deadly Sins At The Waldorf. 7 Deadly Sins is happening at The Waldorf. This is a multi room affair featuring DJs, dancing and much more. The event gets underway at 8:00 pm and tickets are $35 and going quick. Dogwood Brewing – Costume Kegger. The fine folks at Dogwood Brewing in SE Vancouver are throwing a Costume Kegger this Halloween. As the name depicts, costumes are encouraged. Tickets are $30 and includes meal ticket for Disco Cheetah, beer tickets, a DJ, games and shuttle transportation to and from Cambie/Marine Skytrain Station. The event kicks off at 8:00 pm and will go till 1:30 am. Tickets are available online at Eventbrite. Halloween Drive-In Movie Night. You are invited to check out a Halloween Drive-In movie series which will be held this weekend and next at River District in SE Vancouver. Load up the car with your family and/or friends for the early movie which is family friendly at 7:00 pm on October 24th which is showing Hocus Pocus OR you can opt for the later scary movie for the adults at 9:00 pm which features The Thing. On Friday, October 30th, they will be doing it all over again. On this Freaky Friday they will be showing The Nightmare Before Christmas at 7:00 pm and for the adult scary movie it will be The Lost Boys at 9:30 pm. The drive-in theatre is located at Boundary Road and East Kent Avenue North. Cost is $20 per car load plus taxes. Free popcorn for the early movie and 4 food trucks and a snack bar will be on site. You can purchase tickets in advance online. Halloween On The Drive – The Commercial Drive Business Society invites you and your family down for a FREE family event on Saturday, October 31st. From 12:30 to 4:30 pm, kids under the age of 12 can stop by Famoso Pizzeria on Commercial Drive for a free Margherita Pizzetta. From 4:30 to 6:30 pm, there will be ‘trick or treating’ along The Drive from Venables Street to 13th Avenue. Participating merchants will have a “TREATS HERE” sign in their windows. Stop by the Southwest corner of Grandview Park between 6:00 and 7:30 pm for a chance to win a prize pack from local merchants. And to top things off, there will be a fireworks finale at Grandview Park between 7:30 and 8:00 pm. 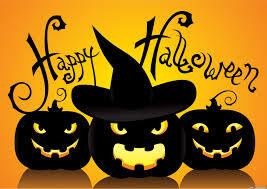 Trout Lake Community Centre: Halloween Celebration – Saturday, October 31st 10:00 am to 1:00 pm. You are invited to come jump in the bouncy castle, play Halloween games, and make some pumpkin crafts. Lots more surprises planned for the wee ones. There is a cost of $4.00 per child. Britannia Community Centre: Halloween Howl – Saturday, October 31st (1–8 years). You are invited to a FREE spooky community event with entertainment and ghostly games and, of course, tricks and treats. Event takes place in Gym D from Noon to 2:00 pm. Treats for the first 100 kids. Britannia Community Centre – The Ghost Caravan – Kids Theatre Show – Sunday, October 25th 2:00 pm to 4:00 pm. Local children are invited to come out and be a part of The Kids Theatre Show at the Parade of Lost Souls. They ask that you imagine two ghostly figures riding two white bicycles. Behind them, like a horse drawn carriage, there is a portable theatre from which costumed characters emerge which will be played by local children. To learn more, stop by the Cafeteria at Britannia Community Centre and check out what’s happening. 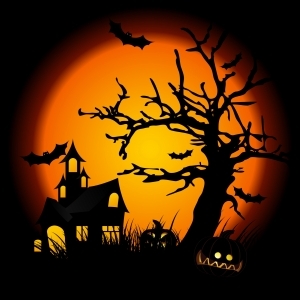 Sunset Community Centre: Haunted Halloween – Friday, October 30th 6:30 to 9:00 pm. Come check out their spooky haunted houses, crafts and trick or treating. This is a free event for all ages. Sunset Community Centre: Halloween Skate – Thursday, October 29th 3:00 to 4:15 pm. Dress up in your Halloween costume and skate this spooktacular event. Regular admission and rental fees apply.